CDFA Undersecretary Jenny Lester Moffitt (right) joined a tour of the pipeline cluster facility. 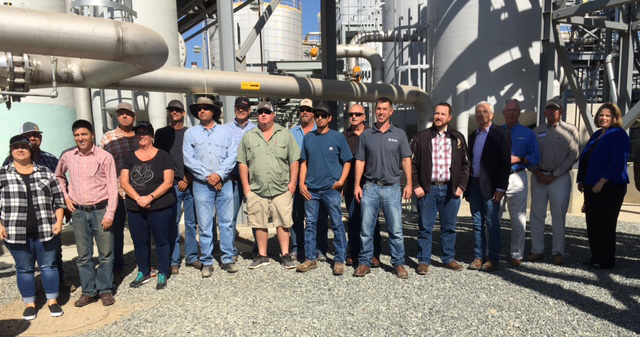 California is proud to announce the state’s first dairy digester pipeline cluster. CDFA Undersecretary Jenny Lester Moffitt was on-hand this week for the launch of Calgren Renewable Fuels’ new facility, which partners with local dairies in the Pixley, California area. Eleven digesters, 22 miles of pipeline and 75,000 cows contribute to this interconnected system, which will collectively reduce an estimated of 1,867,651 metric tons of CO2 (equivalent) over 10 years. That’s equal to 399,925 passenger vehicles driven for 1 year or 201,668 homes’ electricity use for 1 year. Now that’s cow power. 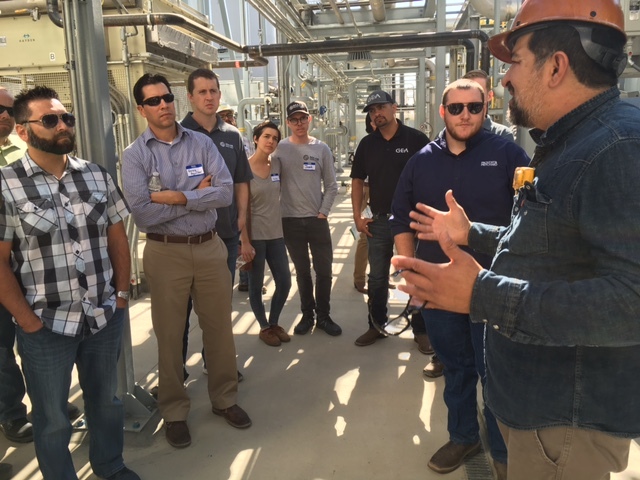 The digesters and the cluster project were made possible in part by grants in 2017 and 2018 from CDFA’s Dairy Digester Research and Development Program totalling approximately $16 million, with an additional $17.5 million in matching funds provided by the dairies and Calgren. 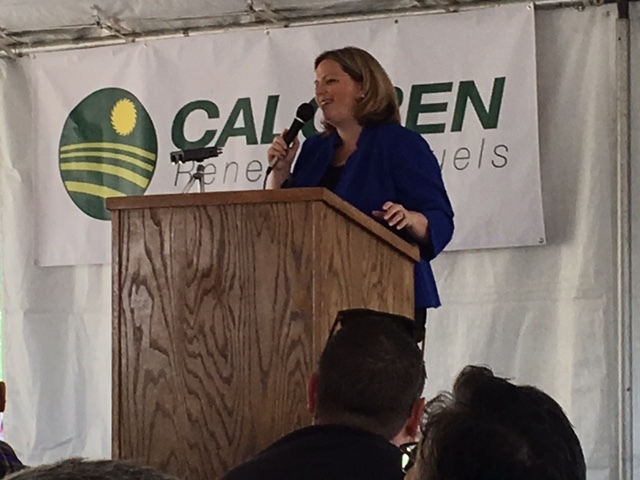 CDFA Undersecretary Jenny Lester Moffitt congratulates Calgren and their partner dairies and contractors at the launch of the new digester cluster facility. This entry was posted in Climate Change, Climate Smart Agriculture, Dairy, Environment. Bookmark the permalink.